The chief minister had taken initiatives to renovate and preserve the house through the North Bengal development department. 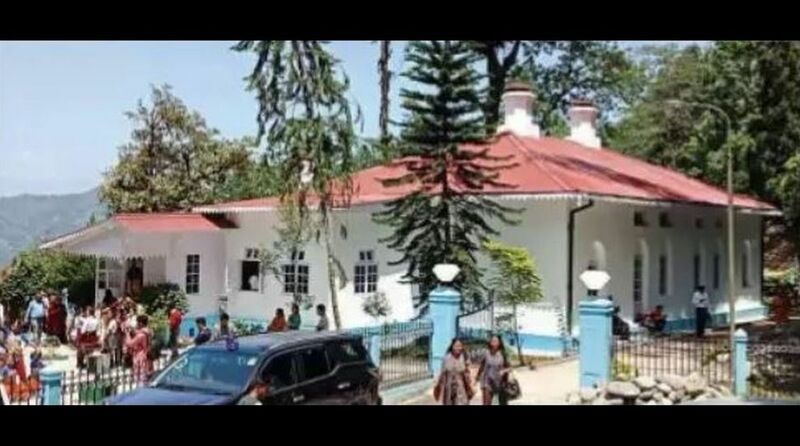 Several valuable documents associated with Rabindranath Tagore, including letters written by him, are allegedly missing from the museum at Mungpo in Darjeeling that has been set up at the house where Tagore stayed during his visits to the Hills. The matter came to light after tourists who visited the Rabindra Bhavan there recenlty enquired about the artifacts and the caretaker disclosed that the documents had gone missing. It may be mentioned here that chief minister Mamata Banerjee had taken initiatives to renovate and preserve the house through the North Bengal Development Department (NBDD). After completion of the renovation work, the house was finally handed over to the present caretaker, Sishir Routh, after observing Rabindra Jayanti this year. Moreover, some tourists who recently visited the house lamented that the place has lost its former charm, given the new look. “Even the benches were not set up in the original style,” one of them said. There is no electricity in the renovated house and no proper initiative has been taken to clean the place, and Tagore’s bust there, on a regular basis, it is learnt. Even the caretaker, Mr Routh, said he was not happy with the way the renovation was done. “The renovation was done with funds allotted by the state heritage department. There is a heritage committee for conservation of tradition, but not a single member of the committee has so far asked us how it is being run,” he said. “I handed over all documents to the appropriate authorities during renovation work. But I do not know where those original scripts of Tagore, comprising some letters and poems, are now. Only printed copies of them have been displayed presently,” Mr Routh said. “Had the authorities displayed the original scripts, more tourists would have been attracted,” he said. “I came to Darjeeling several times, but no one encouraged me to visit the site related to Rabindranath Tagore, which is still not made popular,” said another tourist, Tanima Pariyar. She said her family members came here from Bhutan with the help of tour operators. Minister Ghosh, meanwhile, said he would do what is required of him for the conservation of the historic site. “I will take initiatives and try my best to keep its heritage and tradition intact,” he said. The museum at Mungpo is one of the first places in the country to be established to pay homage to the poet in the year 1944. The house, which has been converted into a museum, has a rich past, with the poet staying there four times during his visits to Darjeeling between 1938 and 1940.